The aim of the project is to provide a deeper insight into mixed microbial culture (MMC) fermentation of bio-waste as a viable waste valorisation technology to produce platform chemicals, namely medium chain carboxylic acids (MCCAs). Objectives are; (i) to evaluate the feasibility of using real mixed food waste with minimal chemical addition as feedstock; (ii) to study the influences of operating conditions, the microbial culture composition and process robustness; and (iii) evaluate the potential of integrating MCCA fermentation with anaerobic digestion for maximal resource recovery. The current environmental pressures caused by population growth and increased production lead to a demand in sustainable technologies for resource recovery from waste. Among these, the production of chemicals and fuels from organic waste has become promising. In 2014, more than half of the EU’s organic fraction of municipal solid waste was treated by landfilling or incineration, resulting in a negative impact on public health, greenhouse gas emissions and soil and groundwater pollution. Moreover, valuable resources are irrevocably withdrawn from economic and natural cycles, thus hindering the implementation of a circular economy. This PhD project will focus on understanding the potential of mixed microbial culture (MMC) fermentation as a way to produce precursors for fuel, chemicals and biotechnological processes such as medium chain carboxylic acids (MCCAs), e.g. caproic and caprylic acid, from mixed food waste. The project will explore the influence of operating conditions on the resultant MMC composition and on directing product outcomes. Continuous lab-sale bioreactors will be operated at different conditions, targeting biogas production or generation of MCCAs, and samples will be collected for genetic sequencing and biochemical analysis. This will obtain a profile of the metabolic potential that can be linked to operation and yields. The bioprocess will be tested for robustness by working with real, naturally-variable bio-waste. During MMC fermentation complex organic matter is degraded by the consorted action of different microbial groups. For example, in anaerobic digestion a variety of biomass feedstocks are transformed into biogas and nutrient-rich effluent (digestate). Initial research has shown it is possible to direct product outcomes in MMC fermentation. Adjusting operating conditions impacts the microbial communities and can inhibit methanogenesis, thereby enabling alternative metabolic pathways which produce MCCAs. So far, research has focused on identifying specific species from mixed communities and elucidating metabolic pathways with synthetic substrates under controlled conditions. The feasibility of using real and complex mixed organic streams has not yet been explored in detail. Additionally, MMC fermentation processes are often treated as black-box systems, hence microbial analysis of the MMC will provide a deeper, mechanistic understanding of the process. 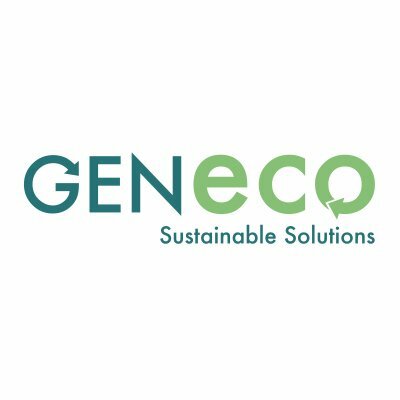 The partnership with Wessex Water/GENeco allows a direct application of some of the research outputs, hence creating immediate impact. The industrial infrastructure for anaerobic digestion is already established, thus anaerobic bioreactors could serve for chemical production without much additional capital cost required. This PhD opens the potential for additional research in the university by establishing analysis methods for complex food waste matrices and for follow-up research, e.g. in chemical engineering on downstream processing for product recovery, or in biology for a deeper study on microbiomes in MMC based technologies. This PhD project is supervised by Dr Ana Lanham, Dr Tom Arnot, Professor David Leak and Dr Marta Coma.